Showing 11 articles from March 28, 2015. Derrick Budd, 38, of Ilwaco entered a guilty plea to three counts of delivery of heroin and one count of possession of heroin with intent to deliver. The action took place in Pacific County Superior Court Friday afternoon. Two counts included delivery of heroin within 1,000 feet of a school. A little-known duty of the Prosecutor's Office is to serve as the County Coroner and, given their limited budget, obtaining new equipment can be difficult. "We had virtually no equipment when I took office, but we have cobbled together safety gear and a 'new vehicle' without cost to the community," said Pacific County Prosecutor Mark McClain. Last week, 11th grade students from Raymond, South Bend, and Willapa Valley had the opportunity to participate in Washington Business Week (WBW). Its seventh year in Pacific County, more than 100 local students participated in the five-day long event, which culminated in a "Trade Show" and "Stockholders Presentation" on Friday, March 27. The Willapa Harbor Ministerial Association is sponsoring the Easter Sunrise Service again this year. It is the time of year as the days get longer that we start thinking about being outdoors. Our gardens are calling us with much to do, there are so many seeds available to choose from and much planning going through our minds. Support a great South Bend citizen's battle to beat cancer this Saturday from 9-3. SOUTH BEND - South Bend hosted a track meet on Thursday, March 19 where both the Raymond boys and girls would lead in first place with a team score of 215 and 143.5 respectively. The South Bend boys pulled in at fourth place with a team score of 69, while the South Bend girls pulled in right behind Raymond in second place, with a team score of 120. 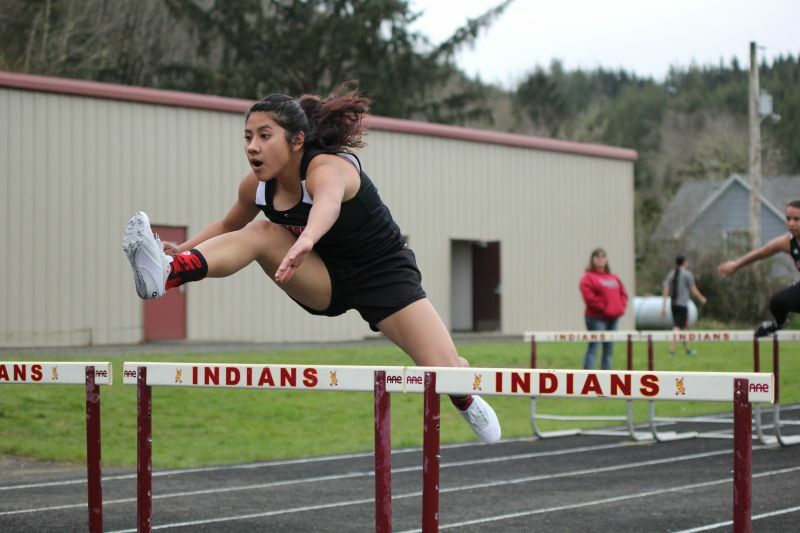 Meanwhile, Willapa Valley was at a separate track meet in Ocosta. The Willapa Valley boys took sixth place with a team score of 12.5, while the girls took fourth place, with a score of 60. Planning is underway for the inaugural Guns & Hoses Basketball Tournament. Fred W. Meyer vs. A. W. Hammond as Receiver of Raymond Trust Co. The complaint recites that at various times between January 21, 1914, and July 15, 1914, plaintiffs delivered warrants to the defendants to the sum of $13,069.27 for safe keeping, but the Trust Company was authorized to collect the same when called for payment; that the Trust Company converted the warrants to its own use without the knowledge or consent of plaintiffs.